Johannesburg’s Drill Hall building, an important piece of architectural heritage, has an unlikely mix of residents struggling to keep the space alive. The frantic rush to relocate potted plants from the dimly-lit lobby to the courtyard defied the laid-back attitude which had been displayed just moments before. Children sprung from their skateboards, young men rushed from their benches and artists sprung from their rooms to grab anything that was green and growing to get it outside. “Now this is the rain! Blessings from above!” exclaimed a Rastafarian artist as he stood on the threshold with his arms reaching up to the heavens in anticipation of the end of the city’s crippling drought. As is typical on the Highveld the clouds proceeded to drain themselves in a violent short-lived outburst, and in that moment it became clear that the residents of the slowly degrading Drill Hall building in Johannesburg’s CBD were more than just cohabitants. This place is home to a community. A young man named Adam was unlucky to venture into the downpour first, prompting an unspoken agreement between those remaining in the lobby that they would stay undercover and pass him the plants they had collected from other rooms. The plants didn’t belong to Adam but he continued without question, chuckling as the downpour promptly soaked him through. “In 2003 the Johannesburg metropolitan council declared the burnt-out ruins of the Drill Hall a Heritage site, exhibition space and community service centre as part of an overall urban renewal strategy,” boasts a plaque on the wall. Today, 13 years later, the plaque is as dirty as the wall on which it hangs. 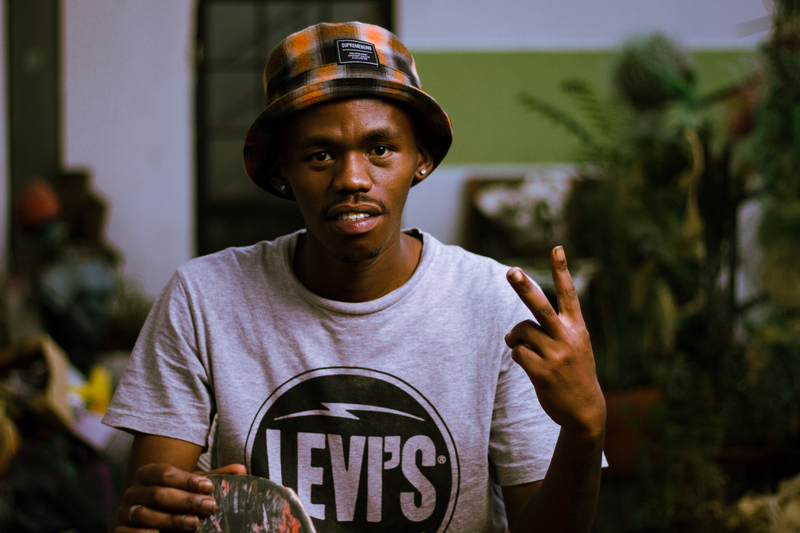 The only hope left for the renewal which it promised now lies in the hands of residents: skaters, Rastafarian artists and an unpaid caretaker called Eric Dube are just a few of the handful of residents who are keeping the place together. The now rain-soaked pot plants belong to two Rastafarian artists, the owner managers of a small company called the Green Office which amongst other things sells vegan meals at the city’s surrounding markets. 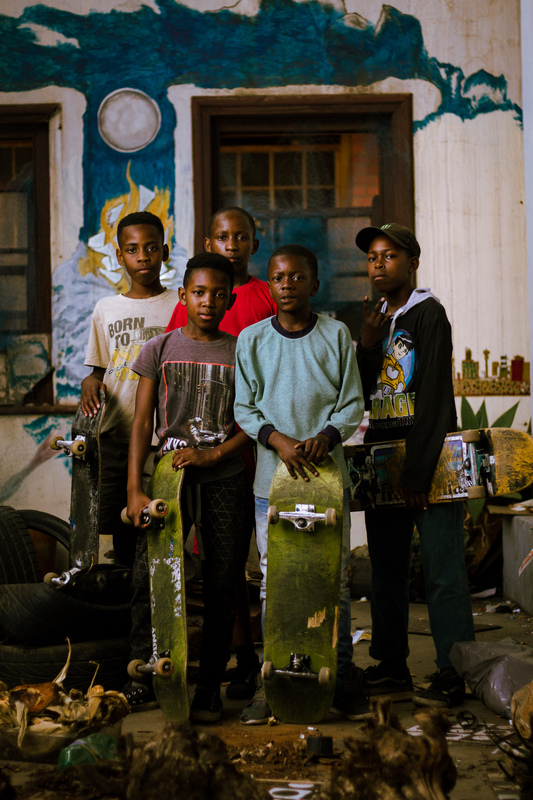 The 30 or so skateboards which are housed in the abandoned underground shooting range are kept by Kabelo Tshilwane from One Love Skate Expo and distributed to the kids. The kids themselves, the lifeblood of this public space, flock here every day at around 2pm to avoid returning to the cramped confines of the inner-city apartments where most of them live. Regardless of their business, everyone in this space loves the kids and makes a contribution to their wellbeing in some way. Occasionally a handful of uniformed schoolchildren arrive earlier in the morning, with stories of being turned away illegally from their schools due to unpaid fees. But, Tshilwane maintains a strict no skating before school-end policy. So they wait till 2pm, with his permission. “Where else must they go?” he shrugs. The skateboards, as well as the multitude of ramps, half pipes and grinding rails which lie scattered over the sheltered inner square of the Drill Hall are made possible almost exclusively through overseas funding. But as helpful as they are these funds are often a once-off deal. Tshilwane’s problems are simple, he just wants someone to help out with cleaning supplies, building maintenance and security. A few extra skateboards wouldn’t hurt either, although the sharing system certainly provides the schoolchildren an opportunity to practice the art of patience. 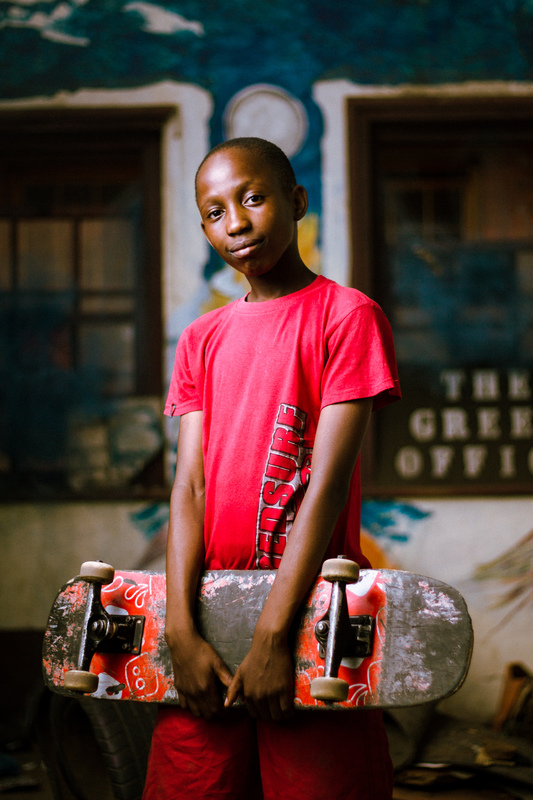 SKATER’S PARADISE: Kabelo Tshilwane runs the skate park which supplies kids with skateboards and instruction in the hope that they will be kept constructively occupied. Tshilwane’s is one version of the same story which is shared by many of the artists, social workers and entrepreneurs who occupy the North and South wings of the Drill hall. The community focus which people display in this city block seems counter intuitive given the inner-city culture of money making. But abandoning the status quo isn’t glamorous, Tshilwane lives in a single room at the Drill Hall with none of the luxuries that even a basic apartment might provide. 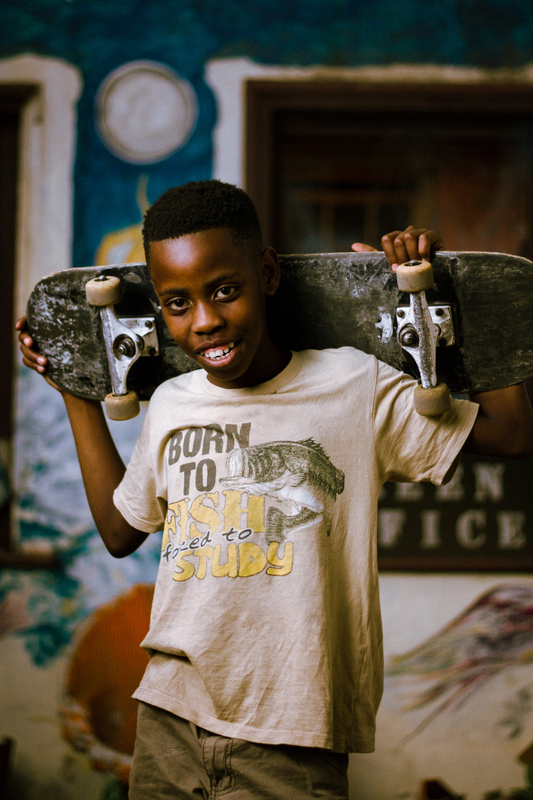 “I’m a lighting technician by profession, a skater by slavery, there’s no choice, but I love it to bits,” laughs Tshilwane as he reminisces over the square’s transformation from a gambling spot when he first arrived there on his board to the haven for schoolkids on skateboards which it is today. Many of the artists who are still here were originally brought together by an NGO called Keleketla who moved in as an anchor tenant in 2008 and took on the role of curating people who could contribute to the space in a meaningful way. The Keleketla sign still hangs outside the entrance to their old office, a constant reminder of the void which its dynamic co-founders Malose Malahlela and Rangoato Hlasane have left since moving out after being endlessly frustrated by government’s lack of interest in supporting the Drill Hall. 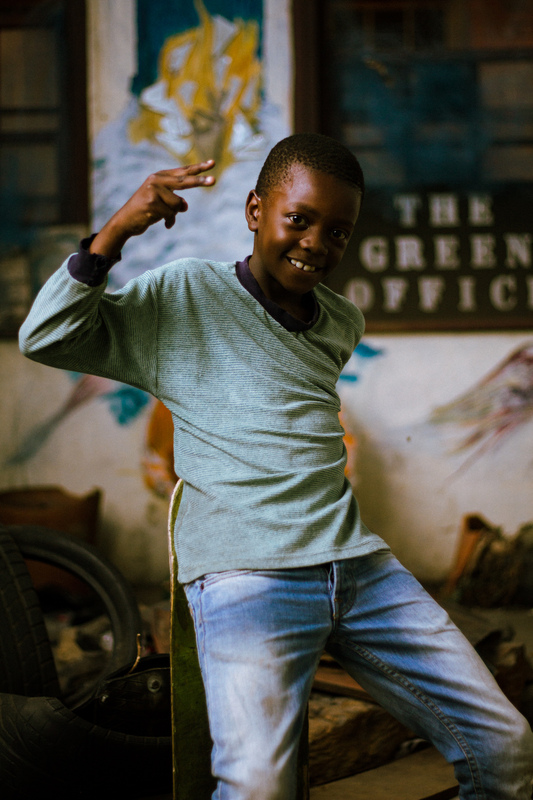 Keleketla’s role as facilitator allowed artists to use studio spaces for free on condition that they gave back to the space by contributing their skills (whatever they may be) to the after-school programmes which they ran. The Keleketla library, where kids came in search of everything from novels and poetry to music and play scripts is now a barren space with a few bookshelves on which books now rest covered in a thick layer of dust. An informal resident’s committee still exists and is trying to keep the place together with the minimal funding they receive from renting out spaces Churches for Sunday worship, but they are in no denial as to the deteriorating state of the building. Without rental income from tenants or funding from government there is only so much they can do. “We’ve been turning away a lot of people. Not ‘cause we don’t like them and we just trying to keep to ourselves. We’re just trying to slow down the wear and tear of the place ‘cause there’s no money coming in,” said Jabu Tshuma, a committee member and resident artist. The Drill Hall has a long history which dates back to the early 1900’s and has seen it witness many political events. Needless to say, the Drill Hall hasn’t always been filled with the squeal of skateboard bearings. Its historic military founders likely curl in their graves every time a skater lands a kick-flip on the paving under which their prized shooting range once functioned. In 1903 it was officially commemorated by Lieutenant-General Sir H.J.T. Hildyard, Commander of the British forces in South Africa. Its life as an inner-city training yard in which soldiers refined the decidedly un-warlike art of marching in straight lines. Years later it would form part of an Imperial Gift from the British administration, and was graciously handed over to the South African government. Almost 100 years later in 1992, just a year after the Group Areas Act was abolished, the South African National Defence Force vacated the hall. At the time the city was undergoing a mass exodus as mostly white-owned businesses moved to the Northern suburbs leaving behind empty buildings which were quickly occupied – legally or illegally – by a newly liberated black populace looking to start a life free of the twisted and inhumane Apartheid segregation laws. Unfortunately, the premise of exclusion on which the city was built meant that it was grossly unprepared to house the numbers which an inclusive society provided, and the Drill Hall became a hijacked space. A history guide of the site published by the City of Johannesburg estimates that 350 families were living in the Drill Hall’s walls by 2001 with no electricity, no running water, and no sanitation facilities. “We said to City ‘you guys need to do something about it’ and as usual, because City was no more able to manage the city then as it is now, they did nothing. And then there was a fire in the Drill hall. And then four people burnt to death. And then they did something,” said Tuhf properties CEO Paul Jackson, who at the time was busy renovating the adjacent Landdrost hotel into inner city apartments. THE CREW: The skate park draws a large group of kids every day and is a hive of activity. The regulars – pictured above – have a fierce determination to be the first to land a new trick. 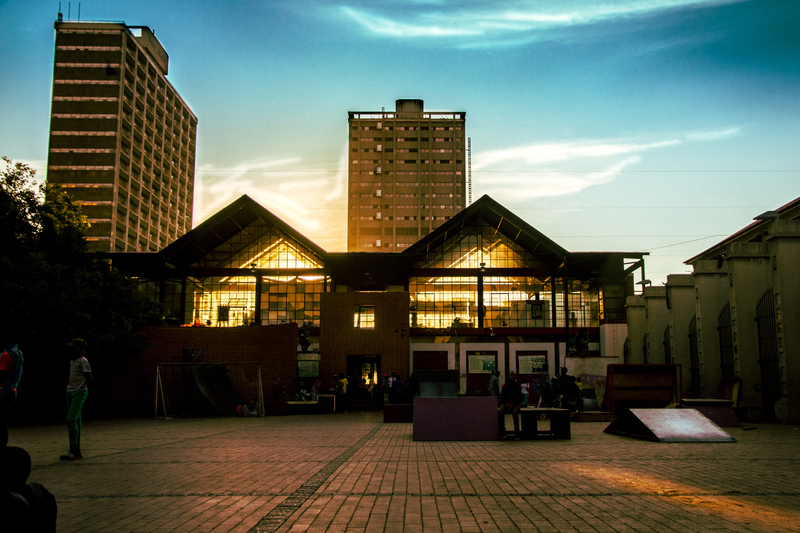 Despite the government’s symptomatic treatment of Johannesburg’s degradation the R10-million renovation done by architect Michael Hart mercifully addressed the need for inner-city public space, and turned the Drill Hall’s main building into the open-air square which the kids now use to skateboard. The new spaces were paired with an art-based programme originally run by Joubert Park Project that managed incoming funds from the National Lottery to run art exhibitions and an after-school programme. By 2008 however, Joubert Park Project had dissolved and after a brief changeover period Kelektla took up where they left off. By this time however, lack of funding and gross neglect had become a crippling problem for the Drill Hall. City Power was intermittently cutting off the electricity supply and the building had still not been transferred to the regional department of Public Works in order for it to be subject to the budget of the City of Johannesburg. In other words, beaurocracy was depriving the sacrificial dedication of genuinely interested people from having a meaningful impact on the surrounding community. Eventually, the simplest of things like lease agreements, security and basic maintenance drove Malahlale and Hlasane to their wits end. “Our departure from the space was not because we though we can find another place elsewhere, it was because the conditions were impossible,” said Malahlale. Nevertheless, the Drill Hall continues to defy its circumstances. As the sun begins its slow Friday afternoon descent behind the West-facing gallery windows the Rastafarians from the Green Office emerge from their room with bowls of vegan food left over from their market sales the night before. 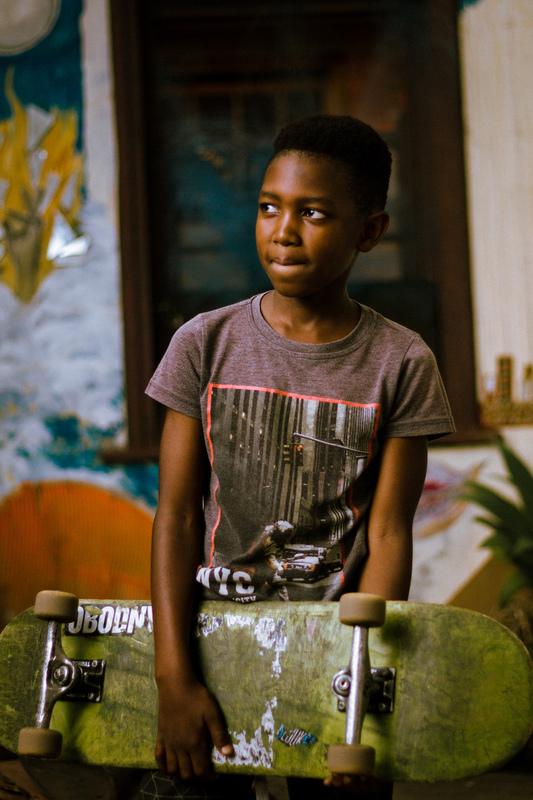 Soon after, kids are sitting on their skateboards eating from makeshift cabbage-leaf bowls being handed to them by residents and friends of residents. Everybody helps out, and does so with a smile on their face. Music blares from the congested Noord taxi rank across the road, and the city’s Friday night bustle is kicking off as taverns begin to fill up. On evenings like these, the peace inside the Drill Hall is most tangible. It’s open gates and permeable fences somehow command a certain level of respect from its surrounds and for now the space remains the property of the kids and their unlikely caretakers. Some residents doubt whether this peace will last. Without the facilitation of an anchor tenant like Keleketla or the formal intervention of city management “The Drill’, as it is fondly called, is at risk of giving in to the relentless capitalism which surrounds it. Space is at a premium in the city and already vendors and shop owners are lobbying to sell their merchandise on the Hall’s borders by day while drug-addicted men, known here as the “Nyaope guys”, find their way through the fence by night to steal flowers grown by the Green Office, perhaps an easy sell to fund their next fix. It is rare for a piece of apartheid heritage to have been appropriated by a new generation of South Africans who have implemented programming that benefits the surrounding community directly. The interventions which exist within the Drill Hall’s walls can only be described as grassroots. The clichés written in government brochures by nostalgic architects which boast of the built environment’s “cultural significance to the city’s delicate urban framework” have here been realised by people who didn’t have to attend hundreds of workshops in order to understand what those clichés actually mean. And yet, the very same government who paid those architects to write those brochures to sell the ideal of a “World Class African City” to people who don’t live in it don’t seem to understand that the people who hold the power to make that ideal a reality are already right here. All they need to keep doing what they’re doing is a security guard, some basic maintenance and someone to make sure that the toilet paper doesn’t run out.